Hyundai has come a long way in the U.S., and its manufacturing plant in Montgomery, Alabama, has helped fuel the automaker’s success. On a recent trip to the South, we got the chance to tour that facility. Here are nine cool facts about Hyundai Motor Manufacturing Alabama (HMMA). Hyundai uses more than 400 robots throughout the plant to assemble the Sonata and Elantra sedans. These robots weld and paint and precisely place windshields. Although two different cars are built at the plant, they’re both built on one assembly line for efficiency’s sake, something that’s made possible by robots and human team members working in harmony. The Santa Fe crossover was added to the line on June 22. Not all of Hyundai’s robots require arms to so their job. The OneKit system employs a number of autonomous drones to transport parts across the assembly line. The wheeled automatons drive along a set path and can stop when a person or object is detected in front of it. After the object moves, the robot continues on its way. The Alabama plant is one of only two in the world to use these robots. HMMA prides itself on its build quality. The plant’s target for quality control is more than 97 percent perfect off the line. The factory is huge. Its buildings cover 3.2 million square feet and sit on a 1,700-acre property. Located on the grounds are two cafeterias, a fitness center, and a Wells Fargo branch. That amount of real estate needs a lot of workers to run. HMMA employs 3,000 full-time team members and 500-600 temp workers, who fill in for workers on sick leave or vacation. Full-time jobs at the Hyundai plant are highly sought after, and for good reason. Full-time team members make on average between $67,000 and $70,000 a year. Maintenance personnel average $100,000 a year. The plant has an annual production capacity of 395,000 cars. The line can spit out 75 units per hour, with an average output of 1,550 cars per day Monday through Friday. HMMA runs some Saturdays based on demand but has a policy of operating no more than two Saturdays a month. When suppliers are factored in, HMMA’s overall economic impact is $4.8 billion for the state of Alabama. Hyundai says the plant is responsible for creating 38,000 direct and indirect jobs and represents 20 percent of Montgomery County’s gross domestic product. Team members from HMMA were featured in a 2012 Super Bowl commercial. Because the ad required singing the theme song from “Rocky,” auditions were held throughout the plant to choose the hundreds of workers featured in the big game TV spot. 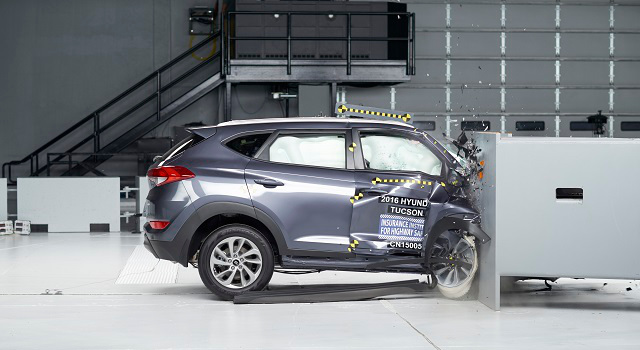 The Hyundai Tucson SUV is the only vehicle in the small SUV category to receive good ratings for both driver and passenger in the latest Insurance Institute for Highway Safety (IIHS) small-overlap crash test ratings. For 2016, new, advanced safety technologies such as AEB with pedestrian detection, Lane Departure Warning System, Blind Spot Detection, Rear Cross-traffic Alert, Lane Change Assist, Backup Warning Sensors and standard rearview camera are offered on the Tucson. In addition, advanced high-strength steel represents over 50 per cent of the new Tucson’s structure for enhanced crash safety. The Tucson is engineered to provide its passengers with multiple defensive safety layers. The A-pillar and mirror blind spots were reduced for enhanced driver visibility. The steel uni-body has integrated crumple zones and a high-tensile front sub-frame designed to work together to reduce the forces that typically reach the passenger compartment. The entire body shell has been made stiffer and lighter thanks to extensive use of advanced high-strength steel, and the use of Tailor Welded Blanks (TWB) reinforces key structural members. TWB assemblies combine steels of different thickness and grades using a sophisticated laser welding and stamping process to achieve an optimal stiffness-to-weight ratio. TWBs reduce body weight while enhancing crash energy management. 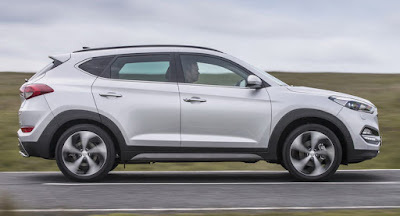 Hyundai's best selling model in the UK is now being offered with a more potent 141 PS (139 HP) turbo diesel unit, mated to a seven-speed double clutch 7DCT transmission. The configuration also involves two-wheel drive (2WD) and is available to order in the UK from £24,570 ($33,220) (SE trim), all the way to £29,695 (About 40,100 US dollars) for the Premium SE high-spec version. Working together with the 1.7-liter CRDi engine is Hyundai's in-house developed 7DCT transmission, which offers the driver a choice between fully automatic and sequential manual gear changes. According to the automaker, this gearbox delivers better fuel efficiency and lower CO2 emissions compared to a 6-speed automatic - specifically 129g CO2 and 57.6 mpg (4.9l/100km) combined. 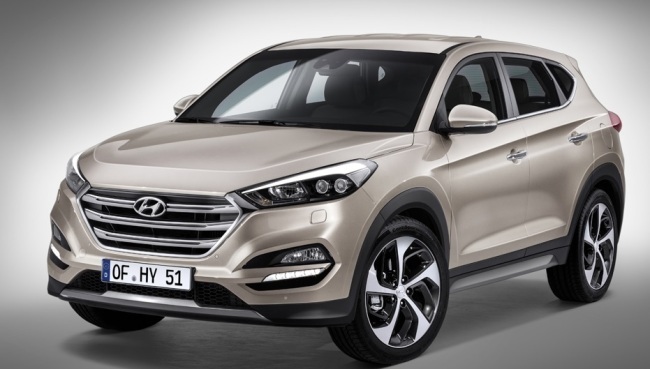 In terms of both efficiency as well as performance, the new powertrain features Hyundai's Integrated Stop & Go (ISG) system as standard, while the 141 PS diesel engine also provides 340 Nm (250 lb-ft) of torque from 1,750 rpm to 2,500 rpm. This translates into a 0-100 km/h (62 mph) sprint time of 11.5 seconds, plus a top speed of 185 km/h (115 mph). 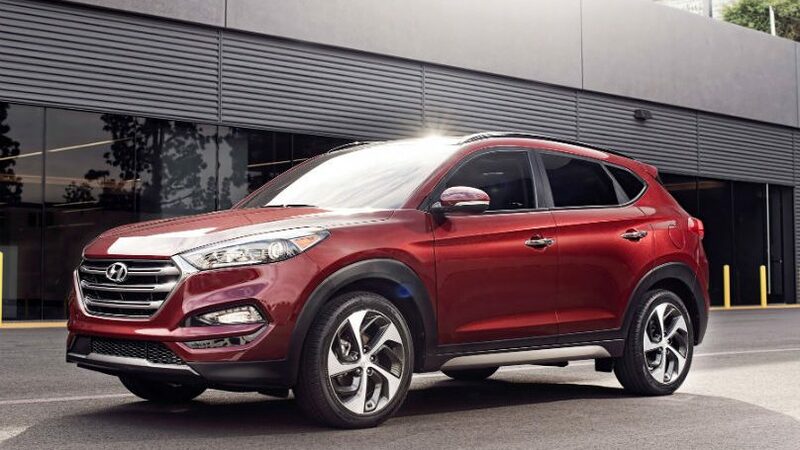 Hyundai also points out that among the Tucson's other strong selling points are its advanced active safety systems, ranging from Blind Spot Detection to Rear Cross Traffic Alert, Lane Keep Assist and Autonomous Emergency Braking with pedestrian recognition. The Tucson was recently awarded a Top Safety Pick+ rating by the IIHS and aced EuroNCAP tests back in October of last year. Hyundai has announced a special edition version of the Santa Fe SUV, to celebrate its exclusive partnership with Sir Bradley Wiggins’ cycling team. Based on the Hyundai Santa Fe Premium SE, the Team Wiggins Edition will host a range of new detailing features to differentiate it from the standard SUV. Only 500 will be built, with each car benefitting from all the standard equipment on the Premium SE, including dynamic headlights with automatic high beam, a panoramic sunroof, a smart electric tailgate, a parking assist system and ventilated front seats. In addition to all this, the Team Wiggins Edition gets unique badging and new 19-inch alloy wheels. Five body colours will also be available with the Team Wiggins Edition; an all-new pearl-effect White Crystal, solid Creamy White, metallic Titanium Silver, metallic Ocean View blue and pearl-effect Phantom Black. David Pugh, Hyundai's marketing director, said: “It’s great to be able to celebrate this successful partnership [with Team Wiggins] by issuing a desirable twist on one of our own icons. Wiggins and his team will use five cars throughout the 2016 racing schedule, comprising two i40 Tourers, two Santa Fes and aniLoad van. The cars will follow the team across the UK and Europe this summer, including for the Tour of Britain, which starts on 4 September. 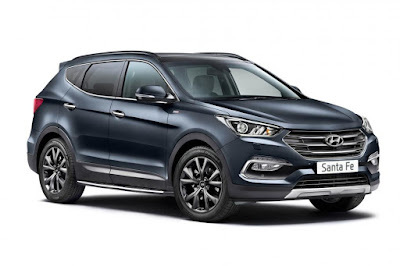 Hyundai will only be offering the Santa Fe Team Wiggins Edition with one engine – the 2.2 litre CRDi diesel – although the choice of a manual or automatic transmissions is available. The manual costs £35,995, while the automatic comes in at £38,295, meaning the Wiggins Edition costs £705 less than a like-for-like Premium SE. Both cars are on sale now. A new study has shown that front passengers are at more risk than drivers in small SUVs, but the 2016 Hyundai Tucson makes an exception. 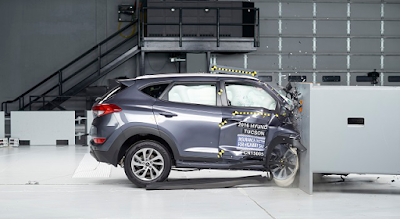 The Insurance Institute for Highway Safety (IIHS) has conducted a fresh new round of crash testing to assess the safety of seven small SUVs, and the 2016 Hyundai Tucson ranked on top. The IIHS looked at how well would front passengers be protected in a right-side small overlap front collision at 40 mph. The test replicates what goes on in a crash when the front corner of a vehicle hits another vehicle or an object such as a utility pole or a tree. Among the seven SUVs tested, the 2016 Hyundai Tucson was the only one to get a good rating, while the others provided less protection ranging from poor to acceptable. While the IIHS does not issue ratings for protection on the passenger side, it is now considering adding such a rating to its Top Safety Pick criteria. The Institute started conducting small overlap tests back in 2012, seeing as its moderate overlap front test proved successful in prompting automakers to improve their vehicles’ safety. Moderate overlap tests involve 40 percent of the car’s width, while the small overlap covers just 25 percent. While the driver’s side seems to be well-protected in small overlap tests, the same cannot be said about the passenger’s side. In the latest small overlap test for the passenger side, the 2015 Toyota RAV4 performed the worst. Should the IIHS issue ratings for vehicle protection on the passenger side, the RAV4 would get a “poor” rating. The 2014 Nissan Rogue and the 2014 Subaru Forester would get a “marginal” rating, while the 2015 Mazda CX-5 and the 2015 Buick Encore Honda CR-V would earn an “acceptable” rating. While most of these vehicles showed significant differences in structural performance when comparing the driver’s side to the passenger side, three cars that were tested showed fairly similar structural performance on both the driver and the passenger side. Following these new crash tests, the IIHS is considering adding the passenger-side small overlap ratings in 2017 and making it as a Top Safety Pick requirement in 2018. This should determine carmakers to increase passenger protection, thus boosting their vehicles’ safety overall. [THE INVESTOR] Korean carmakers could gain an edge over Japanese carmakers in the European market following UK’s leaving the European Union. From 2018, Korean carmakers’ vehicles exported to the UK will be subjected to tariffs, giving Japanese vehicles produced in the UK an edge in pricing. On the much larger European market, however, Korean firms’ vehicles will gain an edge over Japanese vehicles. Unlike Japanese carmakers that have facilities in the UK, Hyundai Motor and Kia Motors operate production lines in the Czech Republic and Slovakia. During the first five months of the year, Hyundai and Kia sold 402,000 units in Europe while sales in UK came in at 78,000 units. FOUNTAIN VALLEY, Calif., June 22, 2016 /PRNewswire/ -- Hyundai ranked third among all brands in the J.D. Power 2016 U.S. Initial Quality StudySM (IQS) and second among non-premium automakers in the study released today. Additionally, J.D. Power awarded both the Accent in the small car segment and Azera in the large car segment with the highest initial quality honors. 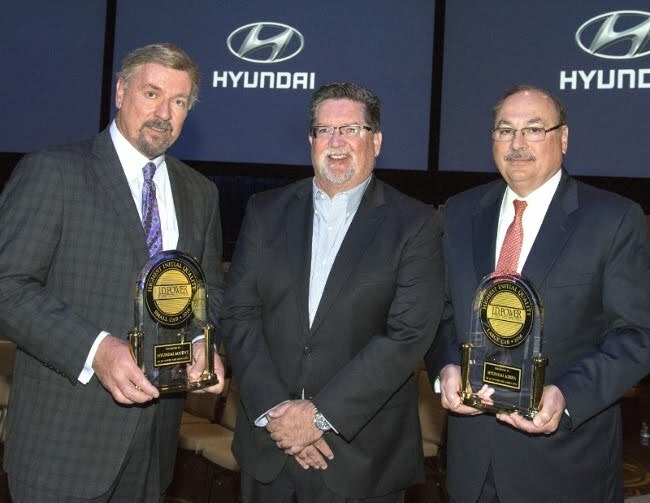 "Hyundai remains steadfastly committed to delivering owners of its products exceptional, quality vehicles," said Frank Ferrara, executive vice president, customer satisfaction, Hyundai Motor America. "We take the improvement of quality on our existing models seriously, and also launch new vehicles with the highest quality right out of the gate. It is important to keep our customers happy with their `vehicles. It starts with quality and continues with education on how to use their vehicle's many features. Results like these demonstrate how well we connect with our customers on every level." "Both small and large cars are popular vehicles on the road today and extremely important to us. In fact, most automakers compete in these vehicle classes. As a result consumers pick from many different choices," said Mircea Gradu, executive director, engineering and quality, Hyundai Motor America. "Both the Accent and Azera ranked highest in their crowded segments for high quality, which provides owners peace of mind for this important financial purchase." In total, six Hyundai models ranked in the top three in their segments. 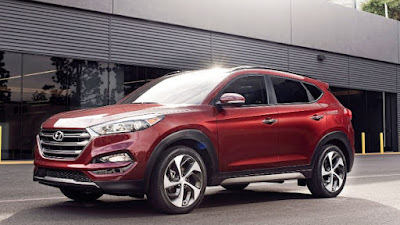 In addition to the awards for Accent and Azera, theTucson (second), Veloster (third), Elantra (third) and Genesis (third) rank near the top in their segments. The Hyundai overall score was 92 problems per 100 vehicles, 13 fewer problems than the industry average and 3 fewer problems than last year. According to the National Highway Traffic Safety Administration (NHTSA), there were 6.1 million police-reported vehicle crashes in 2014. Seventy-two percent of those accidents only involved property damage, a figure made possible by the safety features that have become commonplace over recent decades. Kevin Schechterle, service director at Gary Rome Hyundai, explains many safety features "are somewhat obvious and something we don't regularly think about because they've been a central part of car safety for so long." Here are ten of the high-tech safety features you should know before buying your next car. Known as TPMS for short, a tire pressure monitoring system lets the driver know (with a light on the dashboard or audio alert) when tires are low on pressure. Many drivers fail to regularly check tire pressure, and a sudden leak or tire failure can have serious consequences, especially at high speeds. Early generations of cruise control just locked the vehicle into a steady speed, which meant that drivers had to take over every time they got stuck behind a slower vehicle. New iterations of cruise control allow the vehicle to automatically slow down for a safer following distance. At low speeds and on the highway, drivers aren't always able to see vehicles behind and to the sides. 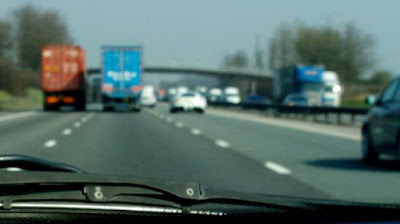 Blind spot detection helps make sure that drivers are aware of their surroundings. Not unlike how rumble strips on the shoulders of highways serve as an important warning to drivers, the built-in feature of lane departure warning can help address three key causes of accidents: distractions, drowsiness and driver error. Sturdy roll bars and seatbelts are life-savers when a rollover happens, but preventative measures help by modulating the brakes and throttle in an effort to reduce the chance of a rollover. Improved systems can adjust how the airbag deploys based on whether the passenger is a child or an adult who happens to be reaching for something on the floorboard. More sophisticated than anti-lock brakes, which mainly prevent skidding and loss of traction, emergency assist judges when the driver is making a panicked stop and helps the vehicle stop faster. Better bulbs for your old high beams may not provide much help with sharp turns, but newer adaptive systems can turn with the curves or focus the light ahead at higher speeds. While drivers tend to ignore the warnings of backup sensors, a rearview camera allows you to see pedestrians and potential obstacles when reversing. In an accident, your cell phone may be out of reach. With emergency response systems, getting help can be as simple as pressing a button on the rearview mirror. While new vehicles may have a range of these safety features, some types are inherently safer. "When you're in the market for a new vehicle, it's best to research all of the safety features available and decide what's best for your family," said Schechterle. A Hyundai dealership is a good place to compare different types of safety features because seven Hyundai models earned the government's highest safety rating. 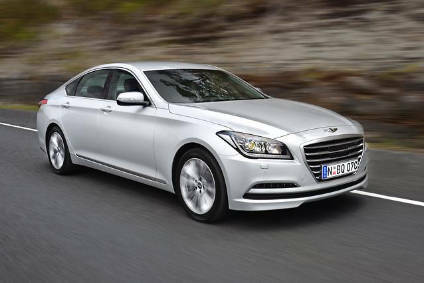 Hyundai Motor Company has denied reports in the South Korean media claiming that it has cancelled plans to add diesel engines to its Genesis sedan range. The company in fact now says it will add diesel versions of two models in 2017. The G80, which is the new name for the former Hyundai/Genesis Sedan, will be one of the first vehicles to gain the option of diesel power in the home market. The other car will be the EQ900, which is sold in other markets as the G90. The addition of compression-ignition engines comes despite a backlash against diesel vehicles in South Korea, following the Volkswagen scandal and resultant bad publicity over the danger of particulates. "We are going to launch diesel models of Genesis EQ900 and G80 as planned," a senior official of Hyundai Motor told The Korea Herald. A company spokeswoman for Hyundai told just-auto that for the moment, there are no official plans to add any diesel engines to the European market Hyundai Genesis sedan. Hyundai has thus far restricted the launch of its luxury brand to South Korea, North America, China and the Middle East, initially at least. Europe, Australia, New Zealand and other markets should, however, follow from 2017 as the model range is expanded. In related news, owners of certain gasoline-powered Volkswagen vehicles are now seeking criminal charges against the German firm in South Korea. "We are gathering customers to file class-action suits as well as criminal charges against the automaker. (For criminal charges), the system manipulation may cause an engine breakdown, which may lead to physical damages to users," Ha Jong-sun, a lawyer who represents those customers, told The Korea Herald. Earlier in June, 956 Volkswagens and Audis were confiscated by the prosecutor. It is alleged that 606 of these cars either failed to obtain certification from the Ministry of Environment or exceeded the limit for harmful gas emissions. The Seoul prosecutor's office has also found that Audi Volkswagen Korea faked 48 fuel economy averages submitted to the Korea Energy Agency between 2012 and 2014. For a long time, big luxury sedans — with artful styling, powerful engines and comfortable interiors — have represented the ultimate expression of the car makers’ art. So it’s no real surprise that Hyundai, the ambitious South Korean carmaker, has decided to move in on Asian rivals such as Toyota, Nissan and Honda by building their own version of the traditional luxury sedan with the Genesis. In fact, the Genesis, which is nicely styled, powerful and very comfortable, is now the foundation on which Hyundai is preparing to build a luxury brand all of its own in the next couple of years. Developing a unique luxury brand is an ambitious project, but the 2016 Genesis indicates Hyundai is quite prepared for the challenge. On the road, the 2016 Genesis delivers a very comfortable ride even on a long trip. The ride is not only comfortable it is also very stable thanks to the steady improvements in the car’s suspension, which matches up with anything found in competitive vehicles such as the Lexus GS, Mercedes-Benz E Class or the Cadillac CTS. In addition, the brakes on the Genesis are first rate and the steering is very responsive, but doesn’t offer the driver a great deal of feel for the road beneath the car. Nonetheless, the Genesis is very maneuverable and handles well even in a downpour that leaves the road surface slick. The Genesis is also equipped with plenty of high-tech safety features such as blind-spot detection, cross traffic alert and a sophisticated cruise control system that maintains a safe interval by downshifting and applying the brakes when a vehicle in front of the car begins to slow or change direction. The all-wheel-drive system on the Genesis also enhances the car’s overall stability in all kinds of conditions. The powertrain on the version of the Genesis that I drove was built around a 3.8-liter V6 engine that delivered an impressive 311 horsepower when matched with a six-speed transmission that delivered shifts smoothly and efficient, while the fuel-economy is 19 miles per gallon in a combination of highway and city driving. The Genesis looks good standing still at the curb or moving through traffic thanks to an exterior design based on Hyundai’s “fluidic sculpture” that encapsulates the brand’s aesthetics that expresses a modern design styling with a sleek, upscale appearance that underscores the car’s premium nature. Highlights of the design features a hexagonal front grille as a key geometric element, a dynamic crease accent running along the flanks of the car and a distinctive rear design. The interior layout of the Genesis utilizes Hyundai’s knack for getting more usable space into the car. The front seat of the Genesis gives both the driver and the passenger plenty of room. In addition, the controls are within easy reach of the driver. The one drawback I noticed was that the arrangement of the center stack, which is canted toward the driver, made it more difficult for the passenger to input information into the navigation system. Overall, however, the extra space inside the cabin benefits all occupants, making them more comfortable and easing the stress that comes with driving or even riding on today’s highways. The Genesis is also equipped with a first-rate sound system and an entertainment system that includes disc player and USB port. The switches are simple, easy to use and easy to find. The long horizontal line of the instrument panel only serves to add to the car’s open ambiance. The use of first-rate materials and varied textures throughout the cabin enhance the sense of luxury and should also help keep the interior fresh even when car is used every day. The overall appearance of the interior furnishings is also enhanced by the precision, finish and with anatomically friendly seat design. Drivers also tend to be collectors, and there’s storage space for practical items such as mobile electronics of all shapes and sizes as well as multiple cup holders. 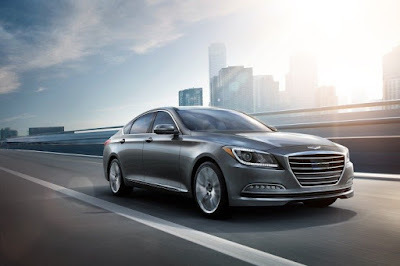 The Genesis is also equipped with Hyundai’s connectivity system that allows drivers to use their smartphones in the vehicle through a Bluetooth connection. A handy head-up display that puts the vehicle’s speed right in front of the driver is also available on the Genesis. The Genesis is far removed from modestly priced vehicles Hyundai brought to the U.S. when it set up shop some 30 years ago. The version of the Genesis that I drove was priced at $53,100, which is hardly inexpensive. 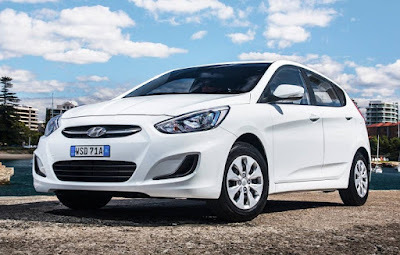 But over the years as Hyundai has moved into various market segments, it has consistently shown a definite for producing cars that can hold its own against those of rivals from all over the world. The impressive Apple CarPlay software is now available in a wide variety of Hyundai models. Initially rolled-out in the new Hyundai Tucson and then the i30, Hyundai has now made the system available in the Accent and the iMax/iLoad vans. Providing smooth integration with Apple smartphones, Apple CarPlay allows you to utilize apps such as Google Maps Siri, via the cars infotainment system. 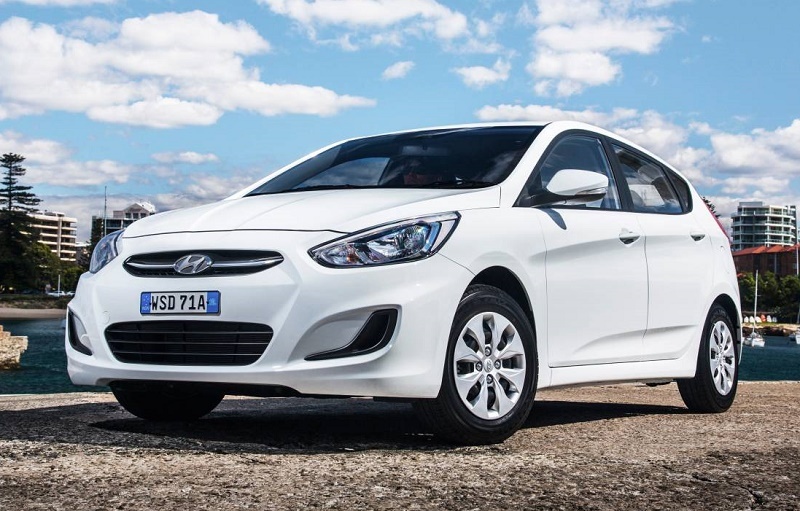 Hyundai has also quite generously offered existing Hyundai Accent, iMax and iLoad owners whose vehicles has Apple CarPlay compatibility a free software upgrade so they too can take advantage of the operating system. To find out if your Hyundai vehicle is eligible, call Hyundai Customer Care on 1800 186 306. “The beauty of Apple CarPlay is that it is powered by your iPhone, it is dynamic and connected and therefore, easily updated,” says Senior Manager Product Planning, Andrew Tuitahi. “When Apple improves these systems, by tweaking performance, adding functionality, or enabling new apps, they will immediately be available in your vehicle." Hyundai Motor Company was honored in the 2016 Newsweek Green Rankings, created in partnership with Corporate Knights and HIP Investor. Since 2009, the Newsweek Green Rankings have been one of the world’s foremost corporate environmental rankings, which assess the 500 largest publicly-traded companies in the United States and the 500 largest publicly-traded companies globally on overall environmental performance, according to Hyundai. “This recognition from Newsweek is a testament to our commitment to reducing our carbon footprint globally,” said Mike O’Brien, vice president, corporate and product planning, Hyundai Motor America. “Hyundai will continue to place importance on its eco-friendly Blue Drive lineup in all segments. Part of this initiative is the arrival of the Hyundai Ioniq late this year, marking Hyundai’s very first car offered in three electric versions to debut in the U.S. The 2016 Newsweek Green Rankings measure the environmental performance of large public companies using eight clearly defined key performance indicators. The methodology is clear and rules-based, and the process meets the test of being replicable by a third party. A company’s overall score is a weighted average of their eight KPI scores. "In the current global business and political climate, no company can continue to ignore its environmental footprint and there's good news: Newsweek's 2016 Green Rankings show the world's biggest companies are improving when it comes to energy productivity and in limiting greenhouse gas emissions,” said Elijah Wolfson, senior editor, Newsweek. “Our hope is the rankings will propel leaders to start looking at their environmental impact, not just in terms of carbon use, but comprehensively, and make the changes necessary to sustain both business growth and environmental viability." Hyundai Blue Drive is a range of ecological products and technologies designed to improve fuel efficiency. Blue Drive is Hyundai’s strategy to develop low-carbon, fuel-efficient vehicles that minimize vehicle fuel consumption and reduce carbon dioxide emissions, thereby meeting the social need for both mobility and environmental preservation. U.S.-based ride-hailing company Uber Technologies Inc. considers partnering with South Korea’s biggest automaker Hyundai Motor Co. to develop driverless car-sharing services. According to industry sources on Tuesday, autonomous driving researchers at Uber will visit Hyundai Motor’s Namyang R&D Center in Hwaseong, Gyeonggi Province on Wednesday and Thursday to learn Hyundai’s autonomous driving technologies and seek ways to join hands with Hyundai to develop self-driving ride-sharing services. Uber, planning to launch its separate driverless taxi service by 2020, has been looking for partners with advanced self-driving technologies that could allow fully autonomous car driving in the near future. 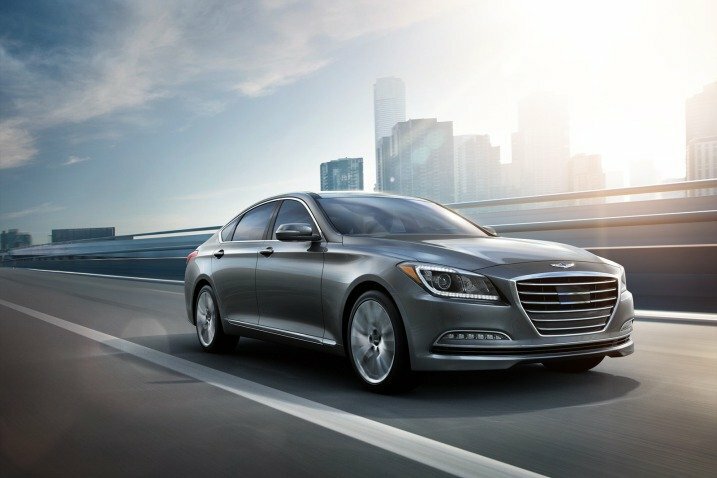 Auto industry observers note Hyundai has proved that it has made big strides in the self-driving technology with its new Genesis sedans. The EQ900 that was released last year and the G80 scheduled to hit the market this month are partially equipped with autonomous car technologies such as autonomous emergency braking (AEB) system and highway driving assist (HAD) system. Hyundai Motor also became the first company in Korea to receive a license from the government to test its self-driving Genesis premium sedan on real roads in March this year. The auto industry sees that fully autonomous cars would be able to hit the road in just a few years. 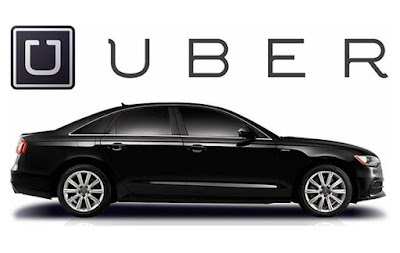 Uber, found in 2010, is a car-sharing giant that has more than one million members and is operating in more than 300 cities in 58 countries worldwide, and partnering with Uber is expected to translate into huge opportunity for Hyundai as it would lead to massive fleet sales of its cars. Speculations are already looming that Uber may purchase the new G80 models scheduled to make a debut in 2019 as the car is likely to come out with a fully autonomous driving technology.